As a personal trainer and health-fitness consultant I’ve worked with hundreds of people for nearly 10,000 hours and I’ve noticed that it is common for people, some of them would be considered driven to reach goals related to their physicality, to fail to understand that their body is a temple. Why is that? Why do even some of the most avid gym-goers not see their body as a temple? It should NOT take a motivator such as some challenging goal, a diet, a detox, a competition of some sort, or even the desire to look better naked to get you to take good care of yourself. I think there are many reasons why people find it hard to take care of themselves in a responsible way without a specific reason. First, I want to say that nearly everything in the human body and within the human psyche is complex and multifactorial, which is why I like to address issues involving the mind and the body at a deep level. That said, I think the solution to failing to understand that your body is a temple is to identify with yourself in a way that promotes health and puts the responsibility for it in your hands. In my book (which you can BUY HERE) I go into this and give the reader tips to shift their mindset and their perspective in a way that allows them to not only see their body as a temple but also find it easy to live the type of life that is in alignment with that belief. In time, with the information, tools and tips found in my book you can develop the self-respect, the love, the discipline and the belief that you are worth the money, the time and the effort it takes to eat nutritiously, manage stress and exercise with purpose. When that happens it will become natural for you to think of your body as a temple and you will find it easy to live a life of personal healthcare and self-improvement. 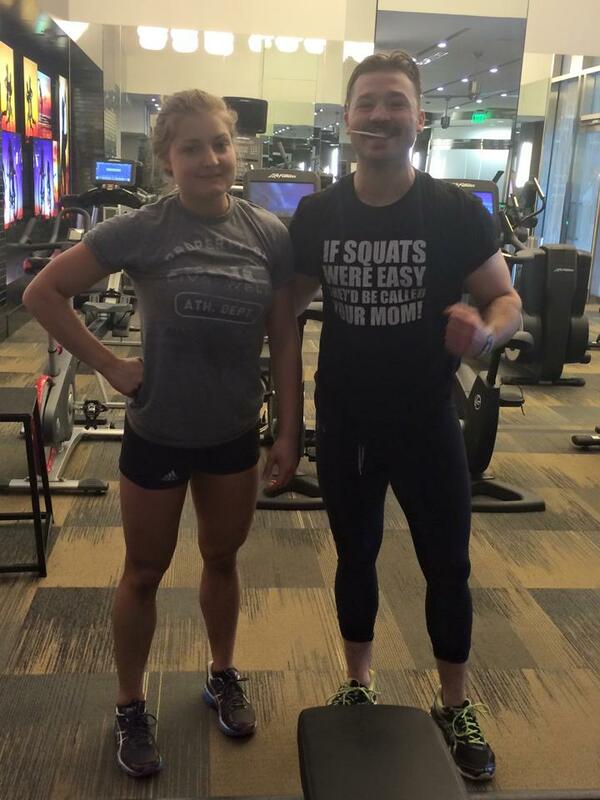 Below is a picture of me with my girlfriend, Kristina Freismuth at the end of a challenging 45-minute full-body workout we did together. This workout happened at a time in our lives when both of us are exercising with purpose not because she has a particular competition or because I have a particular boxing match but because it is important to each of us that we each take good care of ourselves because that is what you do when you see your body as a temple. Previous Previous post: What Is Your Purpose?